Friends. Food. Memories. That’s a recipe to remember. 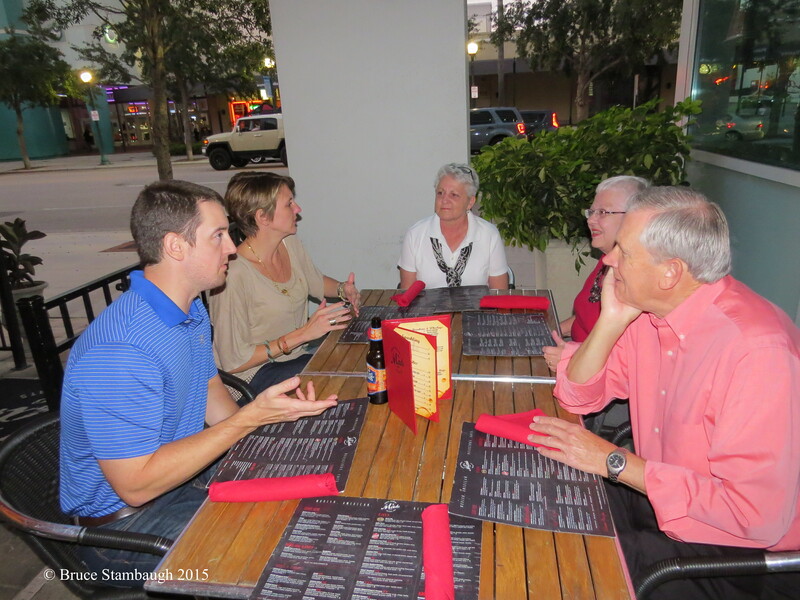 Some of my favorite memories come from sitting around a dinner table and sharing a meal with friends. With the passage of time, more often than not these are folks we seldom see on a regular basis for a multitude of reasons. The excuses responsible for the separation are many and varied. A change of jobs, retirement, relocating, even a misunderstanding are just some of the possibilities. Funny, isn’t it, how food enables meaningful conversation, neutralizes differences and bonds folks together. That’s true, of course, as long as I’m not cooking. Food flavors the conversational flow. Perhaps it’s the other way around. The intentionality of reconnecting is easier if food is the centerpiece. The type of meal is insignificant. It could be at a fancy restaurant, or someone’s home or a relaxing picnic. The setting and type don’t necessarily dictate the buoyant demeanor that prevails. The results are the same. My late father was notorious for instigating such gatherings. He called it the “annual Frith picnic.” Frith was my mother’s maiden name, and anyone directly and remotely connected to the Frith family of my mother and her two sisters was invited. Grandma Frith, the mother of the three daughters, was always the queen of the feast. Us grandkids revered her. Her homemade pies had nothing to do with that of course. Dad kept the reunion going as long as he could. We usually met at his company-owned park, along with hundreds of other employees and their families. We played card games, softball, volleyball and miniature golf. Mostly though, we grouped in semi-circles or sat at picnic tables quizzing one another. As the grandkids grew, they began to have children of their own. Attendance and menu offerings expanded, and then lessened as family cells grew and spread across the country like the measles. I miss those get-togethers. I remember the intensity of the conversations though not the specifics. Shoot, I can’t remember what I had for lunch, and lunch was an hour ago. I recall other smorgasbords as well. I find sitting at the same table with people you once hired, shared offices, played on the same softball team or attended church with priceless. Between bites of seasoned casseroles and homemade desserts, we sit around like old grandparents and compare notes about our greatest blessings, our grandchildren. We do so because we are old grandparents, well most of us. Stories long forgotten are retold as if they happened yesterday. We laugh to the point of tears. 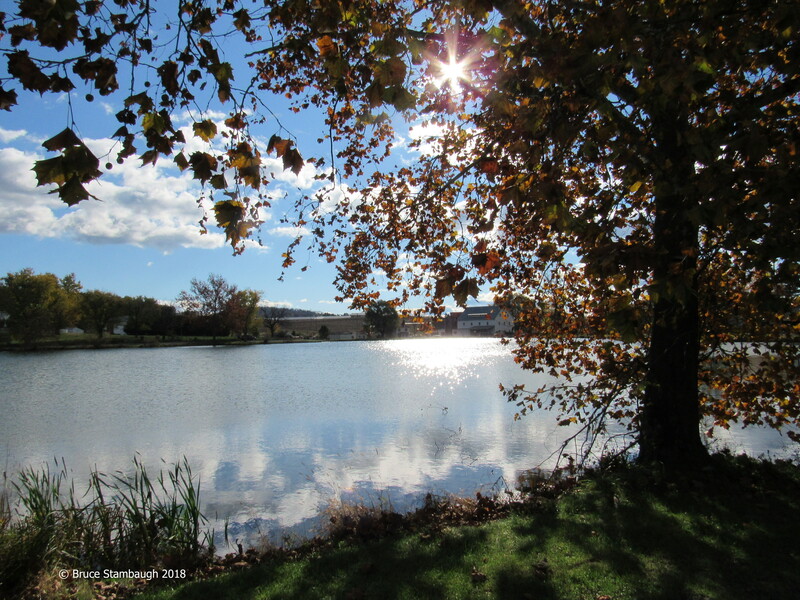 Quiet reflections often follow the expressive outpourings, sure signs that those times will never return nor be repeated. That may be for the best. If heads turn our way in public settings, they are accompanied by understanding smiles without knowing the context or details. The other patrons acknowledge the genuine fellowship with polite nods. I especially love extended opportunities where the conversing spontaneously spills out long past the clearing of the supper table. Raucous rounds of dominoes or card games ensue. They are new memories freshly made. I find it even more delicious if newcomers slide into the circle of friends. They ask clarifying questions that generate new information, more laughter, a rainbow of language, and new friends. In such situations, I have learned another necessary ingredient that spices the relational recipe. Silent listening is the honey that sweetens the relationships and keeps me asking for seconds. Besides the obvious and traditionally the only reason to use a waffle iron, to make waffles, the article transformed the lowly gadget into a veritable utilitarian kitchen necessity. I suspicioned the author owned stock in a waffle iron manufacturing company, and was trying to persuade people to rush out and purchase one or two. My late father and mother. The first alternate to waffles on a waffle iron listed was everyone’s favorite, unless you happen to be vegan, toasted cheese sandwich. Next to the pancake, this has to be the world’s most universal food. If you use a waffle iron, it might even surpass the world-renowned flapjack. Next on the list was an offering for people who either are indecisive or can’t wait for dinner. The author recommended a fried chicken waffle. I am not making this up. He called it “Chicken Stuffed Waffles.” Let’s just say that the directions weren’t as simple as making the two entrees individually. But syrup on fried chicken? I think I’ll pass. I thought maybe the third recipe would be the charm. I was disappointed. “Cheesy Pasta” for the world’s mac and cheese fans was presented. Again, the confounding recipe resulted in a crispy crust with a gooey, cheesy center. Not for me. The next one I might try, if my wife isn’t home and I can find a gluten free recipe. Heat up the waffle iron, plop down a lump of cookie dough, and close the griddle for a minute and a half. Presto, you’ve got a crunchy cookie. 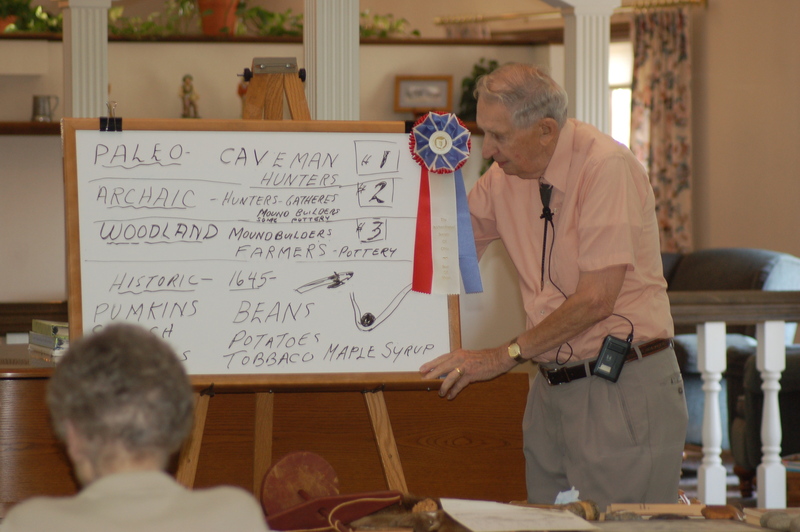 Dad was much more comfortable giving talks on Native American history than he was working in the kitchen. Finally came a suggestion that really made sense. Though the author didn’t call it this, the result was a waffled omelette. Just preheat the waffle iron to medium-high heat, pour in your favorite egg scramble and two minutes later you’re good to go. All this leads me to a simple warning. It came to me as soon as I saw the article’s enticing headline. Don’t do what my late father once did. It was kind of like the waffled toasted cheese sandwich, only worse. Apparently, Dad was home alone shortly after he and Mom were married in 1942. Now my impetuous father knew less about cooking than me. But he was hungry, and what was a man to do without his wife around to fix food for him? Dad got out their brand new waffle iron, and made, or at least attempted to make, his favorite gourmet sandwich. He had all the ingredients right there before him. Dad put a slice of plain, white bread on each side of the waffle iron, without preheating it of course. On top of each slice he carefully placed half of a plain Hershey’s candy bar. 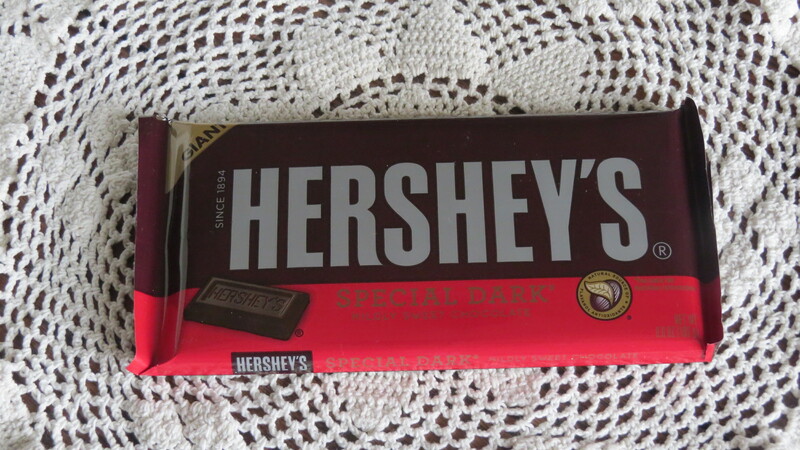 You know, the flat one with multiple rectangles with the brand name Hershey’s molded into them. Dad squeezed the two sides of the waffle iron together, and then turned it on. 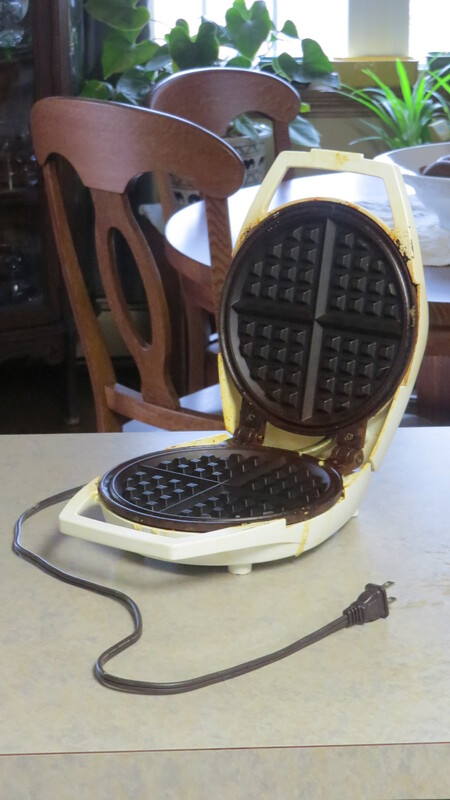 I’m not exactly sure what happened after that, but when Mom got home, the waffle iron was ruined. Her only choice was to throw it out. I think Dad was really fortunate that Mom didn’t pitch him out, too. 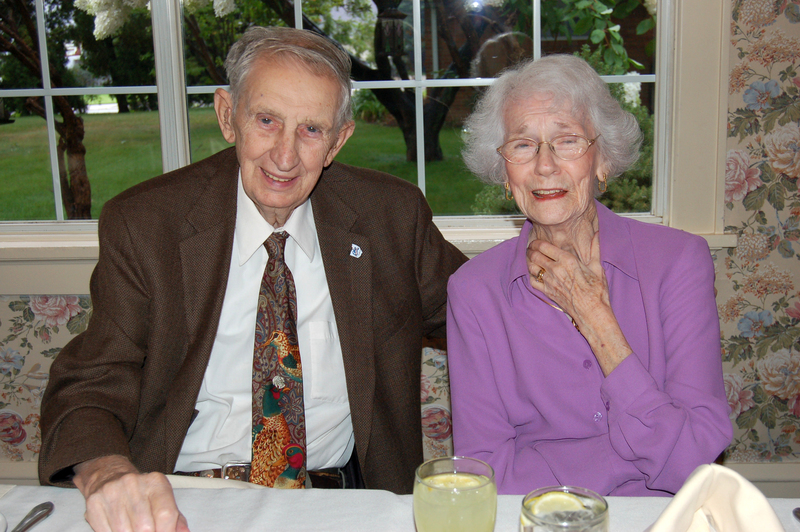 Instead their incredible marriage lasted 67 years, in part because Dad gave up grilled chocolate bar sandwiches, not just for Lent, but for good. 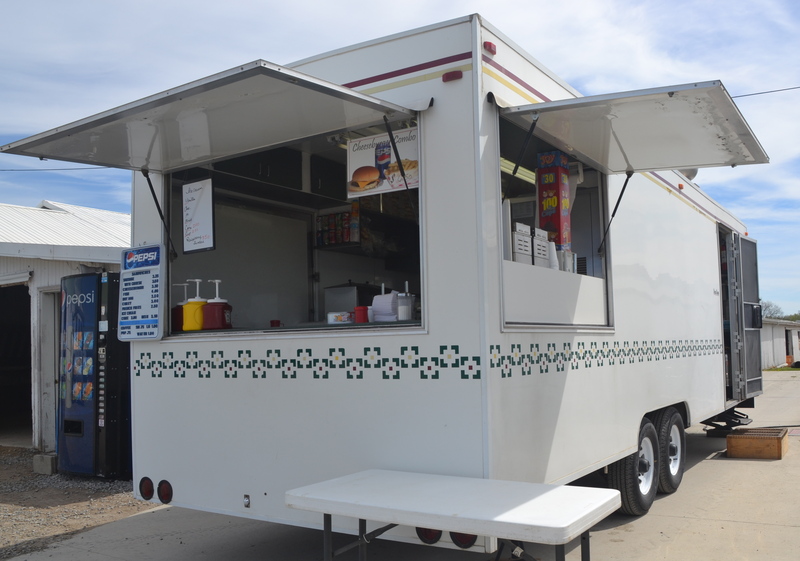 One of the food trailers from which Dan and Anna Bowman serve their delicious ice cream. The Bowmans are Amish, so no pictures were taken of them. When Dan and Anna Bowman crank up their ice cream machine each year in June, it doesn’t take long for a line to form. Their ice cream is that good. The Bowman’s operate under the business name of D and B Burgers, Fredericksburg, Ohio. Don’t let the name deceive you. They serve up lots more than tasty burgers. Their menu includes offerings for breakfast and lunch, and of course, fresh and delicious soft serve ice cream. When asked what the secret was to their yummy ice cream, Dan didn’t hesitate to answer, though what he said may come as a surprise. His modest answer reflected his daily demeanor. 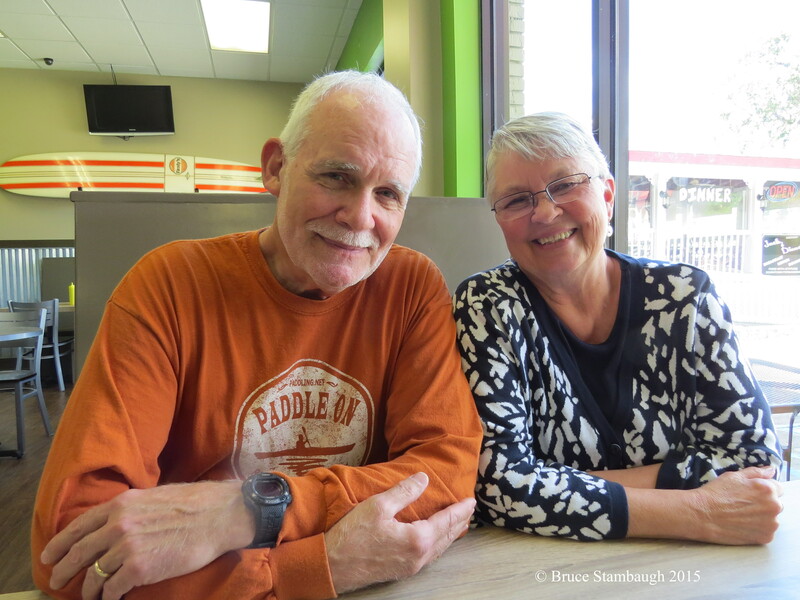 “We use the same commercial ice cream mix as several others in the area,” Dan said. “Fresh and clean is a very good combination for good tasting ice cream.” By that he meant that he keeps the soft serve ice cream machine cleaned on a regular basis. 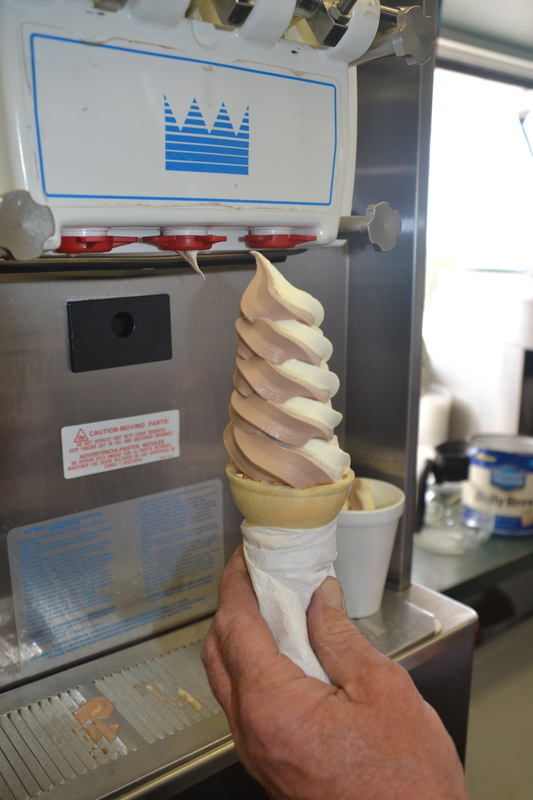 The twist soft serve ice cream cone is a hit with the Bowman’s customers. Dan said that if the ice cream sits in the well of the machine too long it gets gritty and sour. To ensure freshness, he even cleans off the dispenser to eliminate any chance of anything less than fresh being dispensed. To keep it clean, he and Anna completely take the machine apart to clean, a process that takes an hour. The machine gets thoroughly cleaned with the manufacturer’s recommended cleanser, rinsed, dried, and reassembled. Dan and Anna sell three flavors of soft serve ice cream, chocolate, vanilla and twist. They serve their ice cream in cake cones, cups and sundaes. “The raspberry sundae is the favorite of customers,” Dan said. Of course, the topping is homemade by Anna. Again, they said there is no secret to that success. 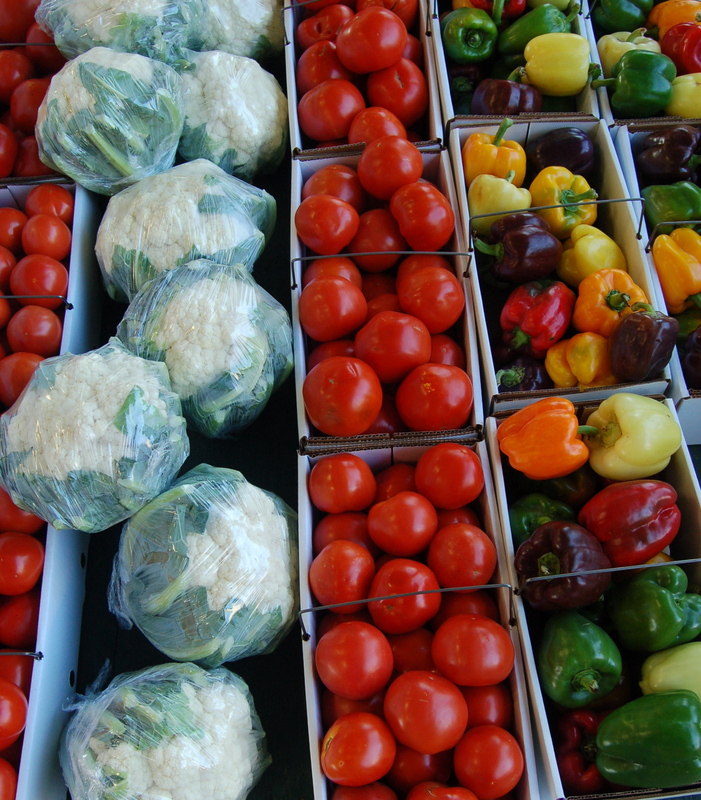 Freshness makes the difference here, too. “I just add a little sugar to the berries and turn on the blender,” she said. They offer red, black and purple raspberry. Dan said there are four or five ice cream mixes that he could choose from in the area. 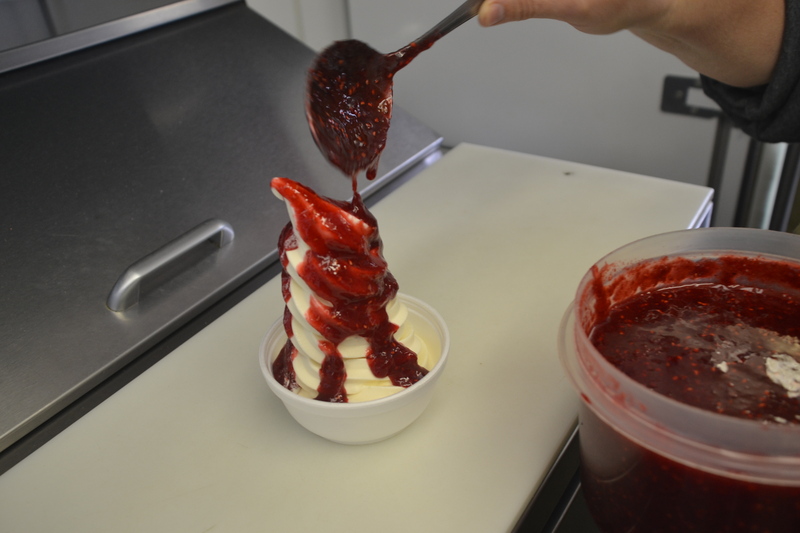 Anna’s homemade raspberry sundae topping is very popular with customers. “I use a mix from a local dairy for consistency and freshness there, too,” Dan said. He buys the mix through the Country Mart in Mt. Hope, Ohio. 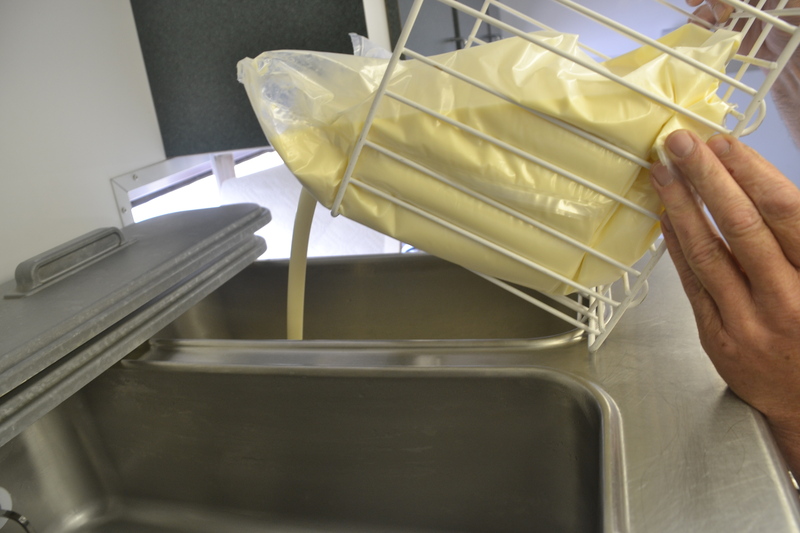 The mix is a liquid that is poured into the vat of the tabletop ice cream galvanized machine. Dan said censors on the machine tell him when the ice cream is getting low. Dan said they average about 25 gallons of ice cream per day during the peek time of June to October. Dan and Anna’s stand, which he affectionately refers to as the wiener wagon, can be found at the Mt. Hope Auction during special events like horse sales. They also do some special sales and auctions. The ice cream mix gets poured into the machine, vanilla on one side, chocolate on the other. The best chance to catch Dan and Anna is at the Farmers Produce Market on State Route 241 a mile west of Mt. Hope June through October when ice cream is served beginning at 10 a.m. The stand, however, opens around 8 a.m. when buyers and sellers start to arrive. D and B Burgers serves breakfast and lunch sandwiches, side dishes, donuts, cookies, candy and hot and cold drinks. The produce market is affiliated with the Mt. Hope Auction, and Dan and Anna provide food there February to November. During the summer months, the auction runs four days a week, Monday, Tuesday, Thursday and Friday. D and B Burgers operation has been operating for 13 years. They now use two food wagons. One is stationed at the produce market most of the year. 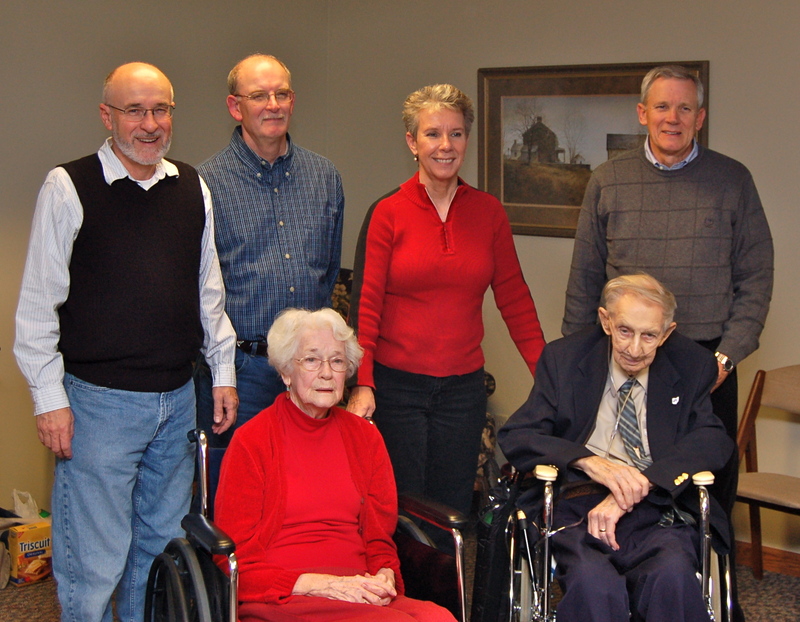 For years, the extended Stambaugh family gathered as one at Thanksgiving. Not this year. When I was a youngster, we had a rip roaring good time on Thanksgiving Day. Usually we celebrated with our cousins, the offspring of my mother and her two sisters. 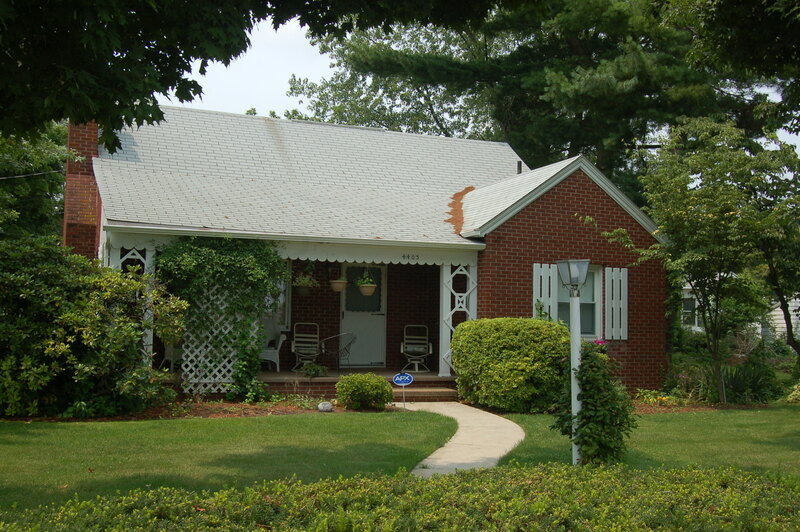 We would assemble at the old farmhouse of Uncle Kenny and Aunt Vivian, who we affectionately called Auntie Bibbles. It was like Christmas before Christmas. With 17 cousins ranging from teenagers to toddlers, we relished the day together. We would play games inside and out, if the weather cooperated. I’m sure the adults privately prayed that it would. Marvelous fragrances filled the old farmhouse from the array of good food cooking. 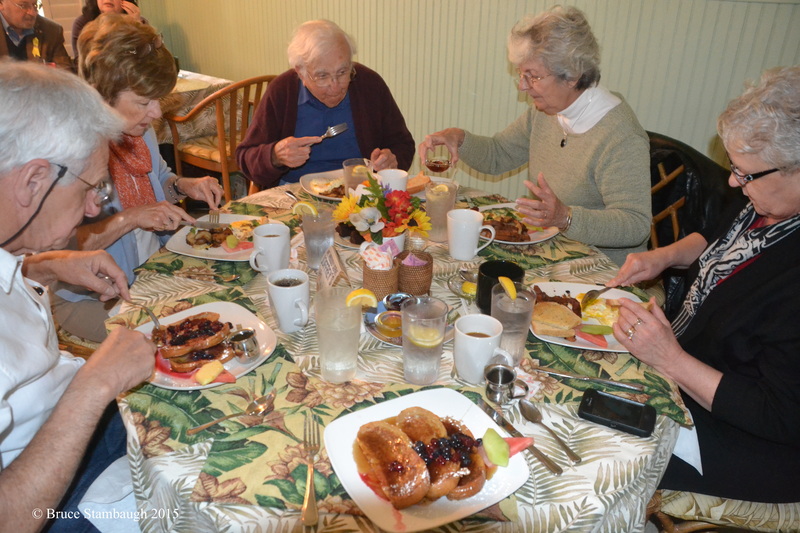 The adults chatted while they prepared the savory meal. The family matriarch, Grandma Frith, oversaw all the action in her reserved but proud southern hospitable manner. We occasionally had to wait on my father to arrive before we ate. Much to my mothers chagrin, Dad loved to hunt rabbits and pheasants on Thanksgiving morning. It wasn’t the hunting so much as being habitually late that drew Mom’s ire. Of course Dad has his tales to tell. 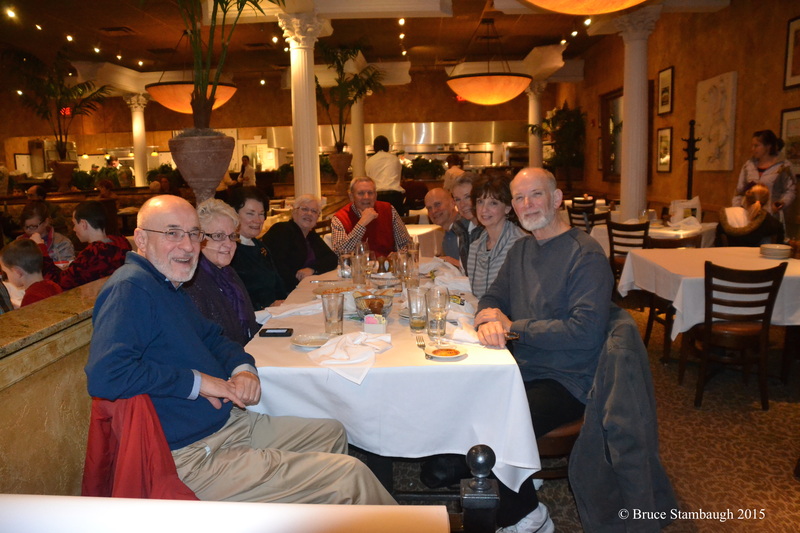 Once the meal was over and the kitchen and dishes cleaned, the adults joined in the merriment. If I remember correctly, they often raised more clamor than the kids. That’s because they were all good sports and lovingly embraced each other’s company. 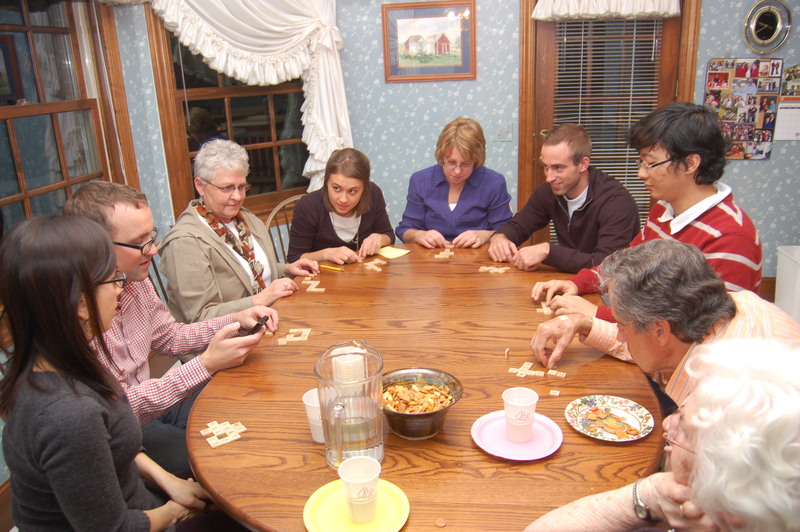 As the families grew, the Thanksgiving tradition underwent a logical metamorphosis. Each of the three families began to celebrate the blessed day on their own. 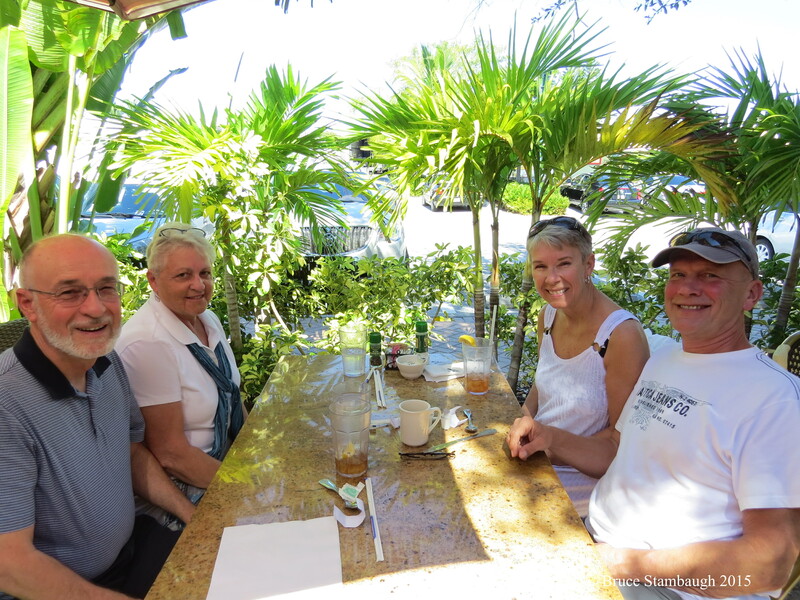 Most of the cousins were no longer children, but adults with spouses or significant others of their own. The rambunctious cousins were beginning to bear rambunctious children of their own, too. My family would gather at the home where we were raised. Somehow we all managed to squeeze in the little brick bungalow. Realizing their place was a bit tight for the growing family, Mom and Dad added on to make more space for holiday gatherings. Each family chipped in with their specialty dishes to make the feast complete. 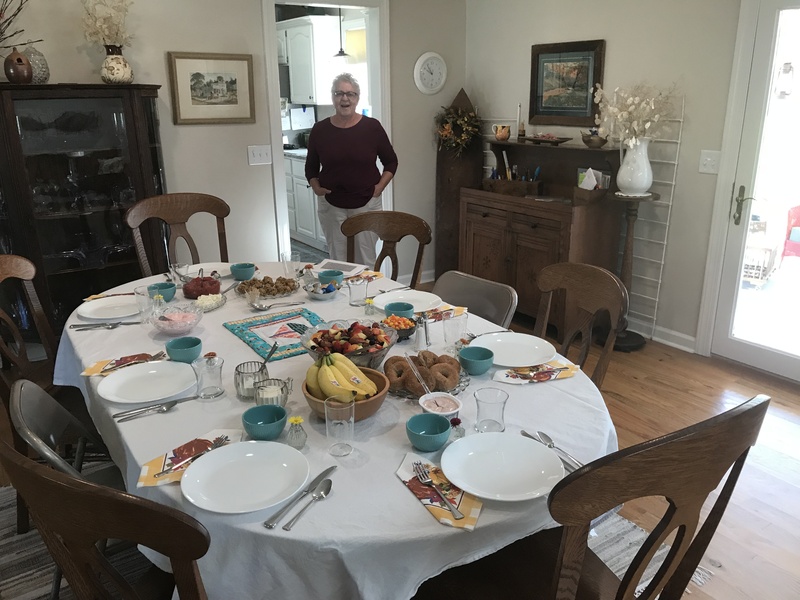 Roast turkey, mashed potatoes and gravy, stuffing, candied sweet potatoes, cranberry sauce and, of course, pumpkin pie filled the table of plenty. After the meal, Dad always had to turn on the Thanksgiving Day football game on the TV. No matter what else the assembled masses wanted to do, the game was part of the ritual. Over the years the grandchildren, as they tend to do, grew into teenagers themselves. Today, they are all mature adults, productively contributing to society, using their various skills. Some with children of their own, they are scattered geographically from New York City to Atlanta, Ga. to Chicago, Ill. to Wooster, Ohio and places in between. For our family, for the first time for as long as I can remember, there will be no collective Thanksgiving gathering for the Stambaugh side. Our mother died last April, and Dad has been gone since Christmas 2009. I think we all made every effort to meet for them as much as for the meal. Now that need is gone. This Thanksgiving the families of my four siblings and mine will each do their own things. We are all right with that. We will embrace this new transition in our lives and be thankful for the day, the memories of the past and those to come. It just may be our new Thanksgiving tradition. This column was published in The Bargain Hunter, Millersburg, OH. 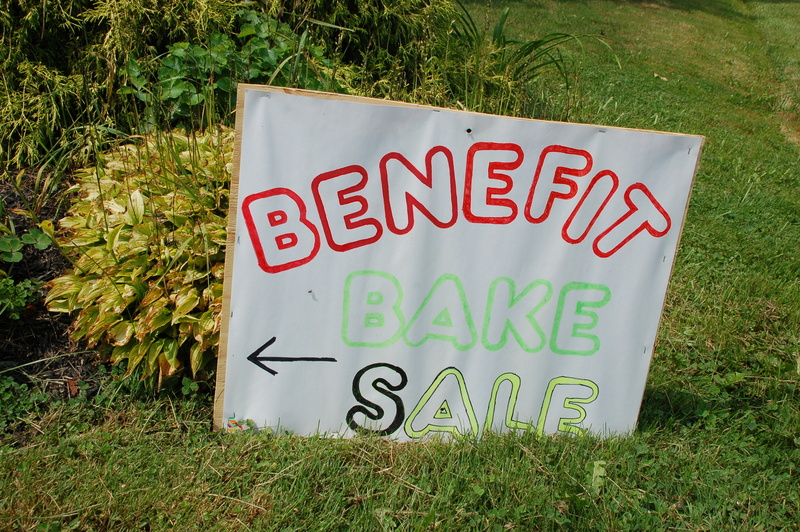 This could have been the bake sale of all benefit bake sales. As impressive as they are, the numbers alone don’t tell the entire story. 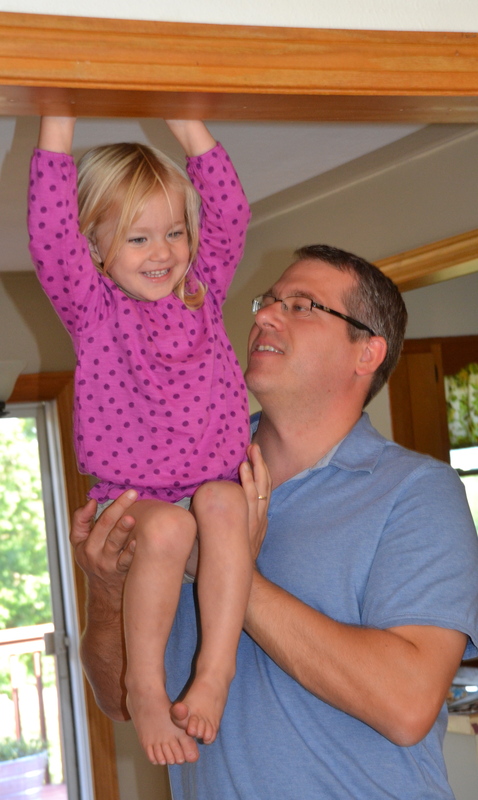 On June 3, the life of 2-year-old Betty Ann Weaver changed forever. Her left hand was accidentally mangled in a lawn mower. She lost all of her digits, with only a couple of stubs remaining. 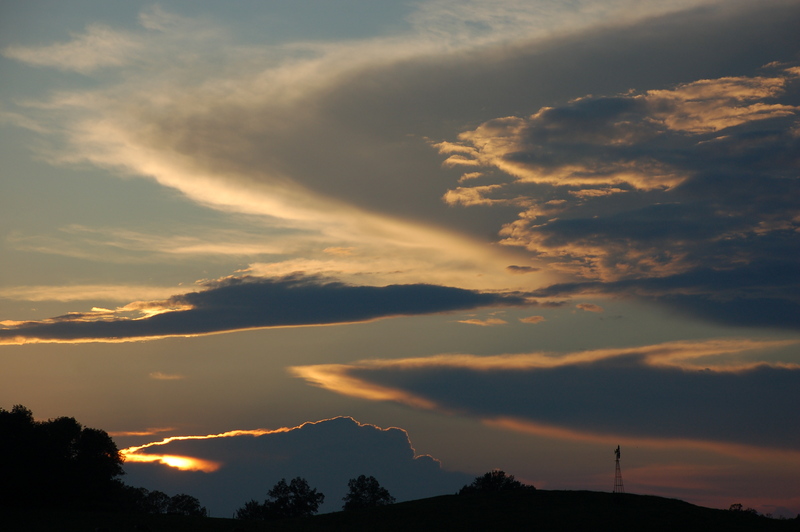 Betty Ann returned to her parents’ home four miles west of Holmesville, Ohio on July 4. Her nine brothers and sisters and her parents, Roy and Lovina Weaver, were glad to have her back home. After a month in the hospital and with rehab visits ongoing, medical bills accumulated. Her maternal grandmother, Ada Yoder, was determined to help. The gregarious woman, who lives with her husband, Wayne, a mile west of Holmesville, had a big idea to raise some funds for her granddaughter. She shared her vision, and soon a bake sale was planned. “We had lots of help,” Ada said. 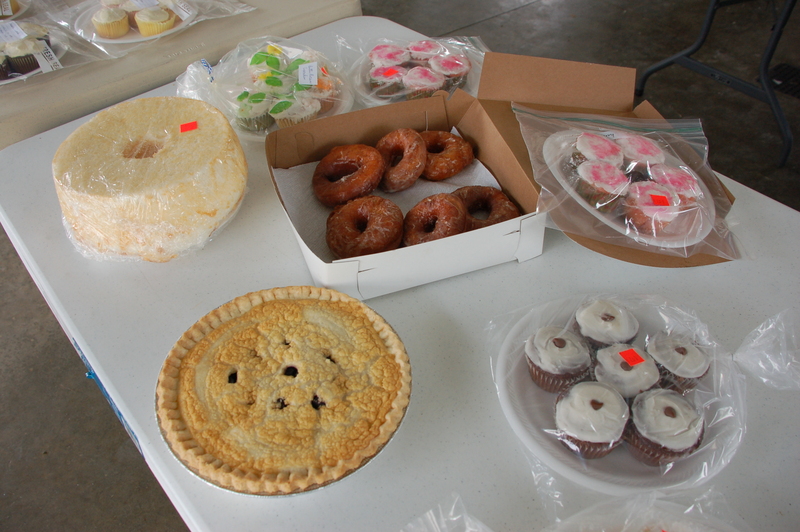 In fact, four Amish churches donated hundreds of baked items that were sold August 16 and 17. “There were some good looking items that we sold,” Ada said, “including a square angel food cake.” As delicious looking as all those items were, the homemade donuts were the real draw. “We used 11 bags of donut mix,” Ada said. “Each bag made 50 dozen donuts. That’s a lot of donuts! “The first day we started making donuts at 7 a.m. and finished at 9:30 p.m.” Ada explained. The next day the process began all over again. “We started at 3 a.m. and finished at noon,” she said. “We had people here for donuts at 5:30 a.m. already.” The donut making finished up that evening with another round of frying them in coconut oil that lasted from 4-8 p.m.
Ada said customers had to wait until the donuts cooled enough for them to be glazed and boxed. To generate orders, she had distributed fliers about the donut and bake sale to several area businesses. Many bought multiple dozens to share with employees. “I made six kettles of raspberry filling,” she said. Ada said she was overwhelmed with both the amount of help she had and the response. The last baked good item, a regular, round angel food cake, was sold at noon on August 17. The sale was held at the Weaver’s home. The money will be used to help defer medical expenses for her granddaughter. Donations may still be sent to Wayne Yoder, 9378 County Road 329, Holmesville 44633. The article appeared in The Bargain Hunter, Millersburg, OH. Growing up in my post-World War II world, our family always had a garden. It was a logical way to keep the expenses down for our energetic family of seven. Even as children, we knew Dad didn’t make much money. He worked hard at his white-color job. He left early and arrived home in time for the staple supper Mom always had waiting for him and the five of us ornery kids, although I think I was easily the best behaved of the bunch. Mom worked hard, too, without a paycheck. Like most women of the era, she was a professional homemaker. She was at home all day, and during the summer months so were her five children. She trusted us to roam the neighborhood as long as we checked in from time to time. Cell phones and texting weren’t even bad ideas then. When Dad arrived home, the tempo changed. If my two brothers and I weren’t playing baseball, we, along with our two sisters, piled into the 1947 two-door, cream-colored Chevy, and headed to the garden two miles away. The land around our suburban home was too small to support a substantial garden. A friend of Dad’s allowed us to use a portion of his property to garden. We planted, hoed, weeded and watched the crops grow. We cared for potatoes, green beans, radishes, carrots, peppers, and my favorite, sweet corn. Like a kid on Christmas morning, I couldn’t wait for the corn to ripen. Every trip to the garden I would squeeze the ears to see if they were filling out. When the tassels turned from blonde to brown, I knew the corn was close to being ready. I loved the smell of corn, stalks and ears alike. Dad showed us how to carefully peel back the husks for a peek to confirm that the ears were ripe. For me, there was something special about the sharp sound of Dad yanking the corn free from its mother stalk. We took turns carrying the plump ears to the wheelbarrow at the end of the rows. 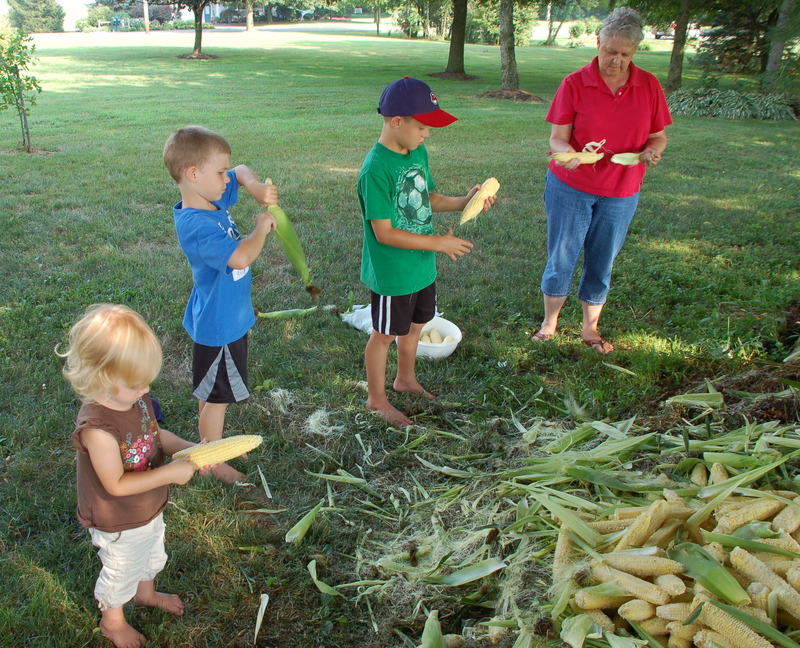 Husking sweet corn is still a family affair in our household. We loaded the car trunk with our golden treasure and headed home. We all helped husk the tender ears. We worked as fast as we could, knowing full well that the quicker we got the corn cleaned, the sooner we could enjoy it. We ate some, and we froze some. By we, I mean my mother of course. Cooking the corn in the pressure cooker always unnerved me. I guess I was fearful of its scary hissing sound. Thankfully, my wife now just cooks the corn in a kettle on the stove. Though my wife cuts the kernels from the cob before cooking the sweet corn, she still uses Tupperware and other similar contains to hold the corn in the freezer. 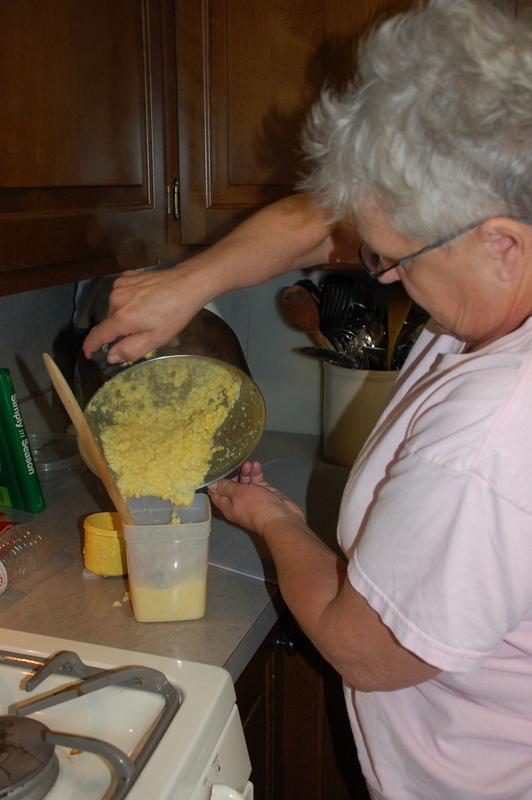 Mom ran the cooked corncobs down a wooden corn cutter. The yellowy kernels and sweet juice dripped into a marbled blue and white porcelain bowl. We helped fill the Tupperware containers, and once they cooled ushered them downstairs to the freezer. 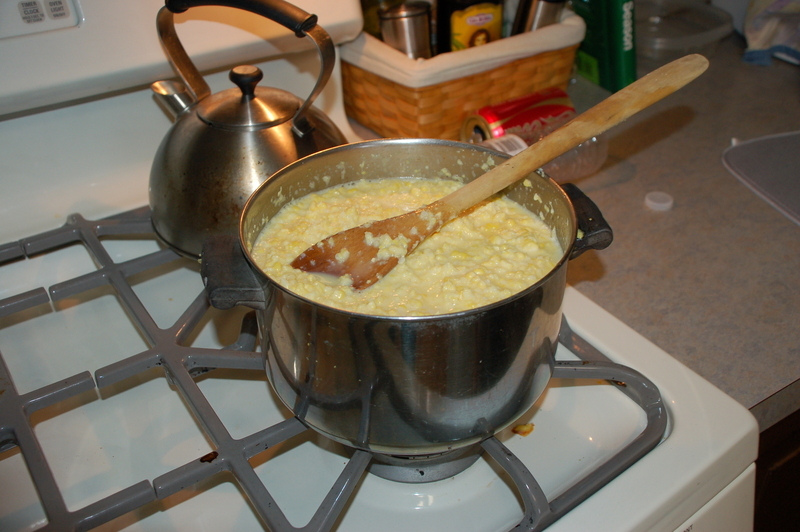 Having sweet creamed corn in the middle of winter was a special treat. Still, it couldn’t compare to holding a freshly buttered and salted ear and crunching those tasty rows of kernels. The ripening corn crop did have one drawback, however. When we were done harvesting and freezing the Iowa Chief, we knew it was time to start school. Years later, here we are again near summer’s end. School is set to begin or already has. The tender sweet corn is already in the freezer, although it’s now Incredible, not Iowa Chief. Sipping my morning coffee, I watch the school buses pass by the house. At my age, it’s the sweetest part of summer. Nearly five years ago, I was forced to change diets. That’s right. Forced. During my annual physical exam at the doctor’s office, I happened to mention that I had recently had a couple of dizzy spells. With a family history of strokes and heart issues, the doctor ordered some tests, including a MRI. On the return visit, I was told that I had cerebral arteriosclerosis, or hardening of the arteries of the brain. If I continued my regular lifestyle, including my normal, unrestricted diet, I would run a high risk of a stroke. The orders were no beef or pork, no processed food, no fried food, and only no-fat dairy products. 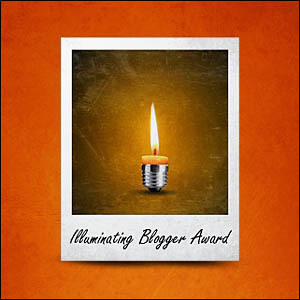 Instead, my choices were grilled, roasted, baked or broiled fish, chicken or turkey. 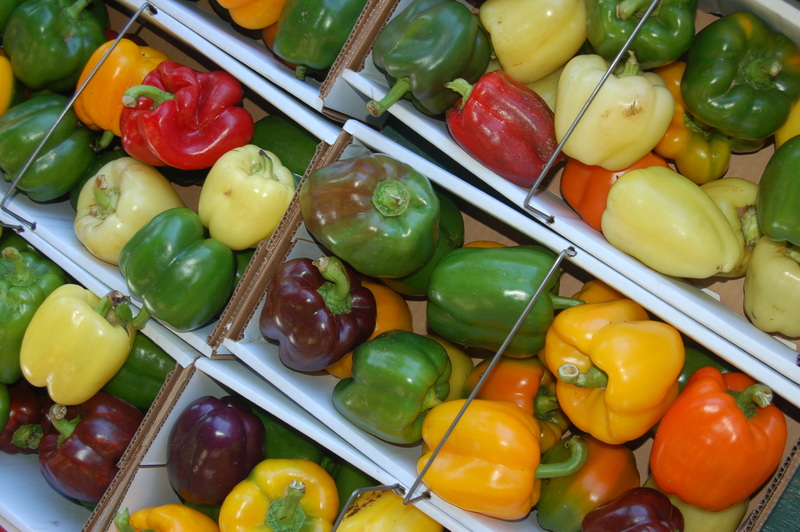 In addition, I needed to eat at least five to six servings of fruits and vegetables a day. Basically, I could eat anything with two legs or no legs. My head was spinning. The doctor must have sensed my tension because he did something rather unusual. He pulled up his own medical chart on his laptop and showed me his blood work scores. He, too, had the same disease, and had been on the same diet for more than a year. “You can do it,” he said. My doctor was right. I could do it because I did. I have been eating that way every since and enjoying it greatly. In fact within a month of going meatless and eating lots of fruits and veggies, I felt much better. Of course I had increased my exercise, walking for 30 minutes at least three times per week. I rode the exercise bicycle if the weather was bad. My wife, the chief cook in our empty nest home, was diligent about preparing food that I could eat. Together we followed the same diet. 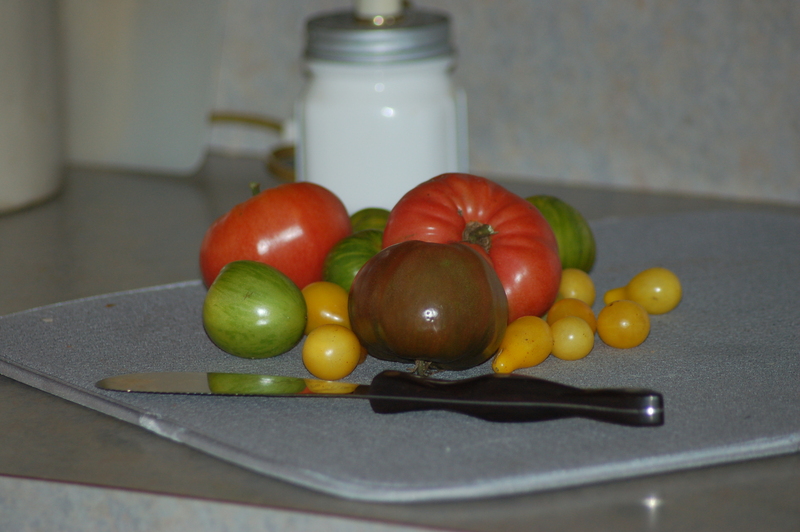 My change in diet came right when our heirloom tomatoes came ripe. That was both good and bad. The tomatoes were great to eat fresh off the vine or in a salad or salsa or soup, but I missed one of my favorite foods, bacon, tomato and lettuce sandwiches. Having the latter two without the bacon hardly qualified as a sandwich. At my three-month checkup, I told the doctor about my BLT cravings. He said that it was all right to eat some meat once a month or so. I looked forward to my BLTs the next year, but kept to my no meat diet as best I could. 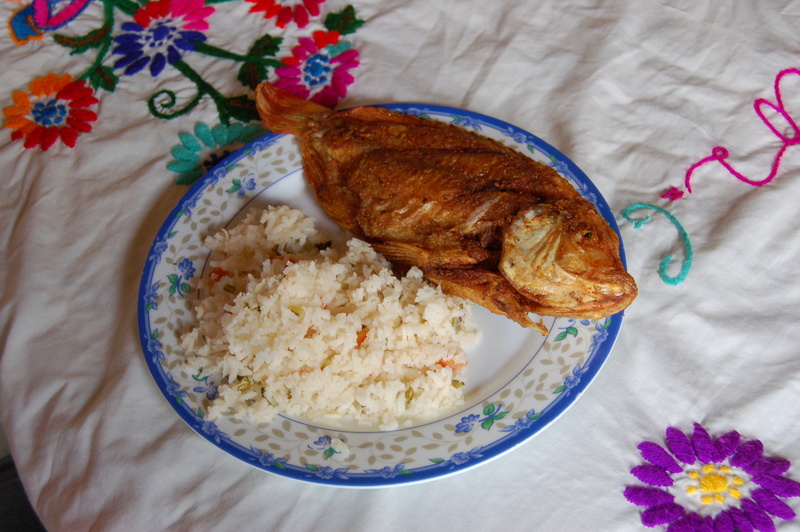 Fried tilapia and rice served to me in a home in Honduras. If I was served meat as a guest in someone’s home, I politely ate it, but only a small portion. While working in Honduras on a mission project with a group from our church, we were sometimes served beef or fried fish. Not wanting to be insulting, I ate what was prepared for me or furtively shared with another person. A year after first going on my new diet I received the best news possible. My homocysteine levels, the important blood work scores, were below the danger threshold. The diet, exercise and medication were working. My doctor was as pleased as I was. I told him that to celebrate I was going out to eat and have a steak. I didn’t of course. By then, the desire for meat had long faded. In fact, the greasy smell exhausted by restaurants makes me nauseous. Even though the dizziness about which I had originally complained was unrelated to my disease, I was ever thankful that I had mentioned it. I feel better, less lethargic, and more vibrant. 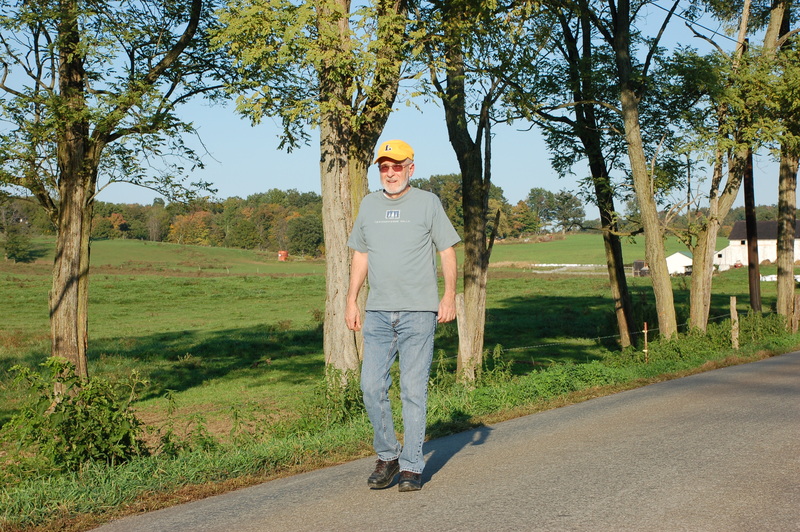 I have lost a few pounds, and enjoy my regular walks, which have the added bonus of communing with God and nature as I stroll along our rural roads. Best of all, I am able to maintain my regular routines and enjoy not only the food I eat, but the life that God has given me one day at a time. This article appeared in the July 2012 edition of Purpose, Stories of Faith and Promise. 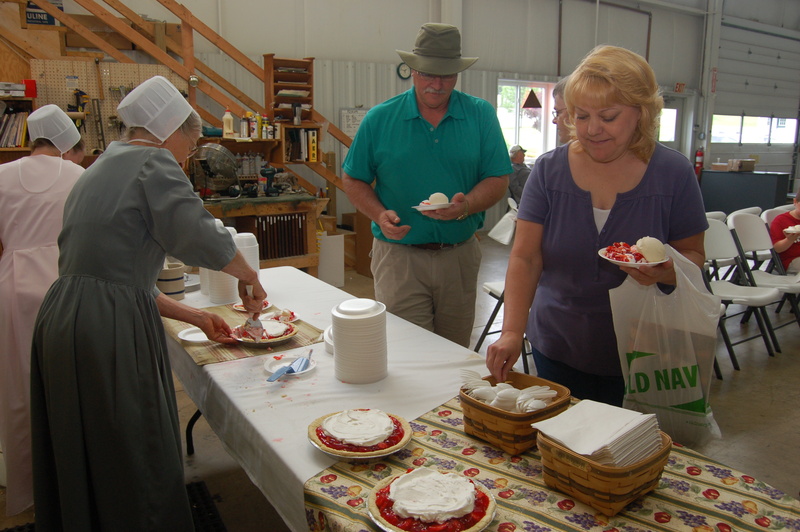 The delicious homemade strawberry pie and ice cream will again be offered free to all those who attend Homestead Furniture’s Strawberry Summer Fest, June 14-16 at Mt. Hope, OH. People visit the world’s largest Amish population for many reasons. 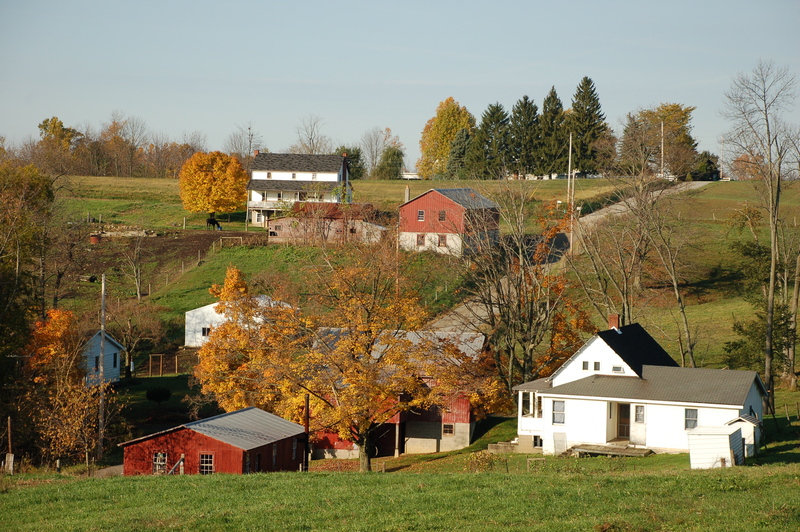 Nostalgia for the way things used to be, the friendly, plain folks, the delicious, affordable food, and the neat, quilt-patch farm fields often top the list. 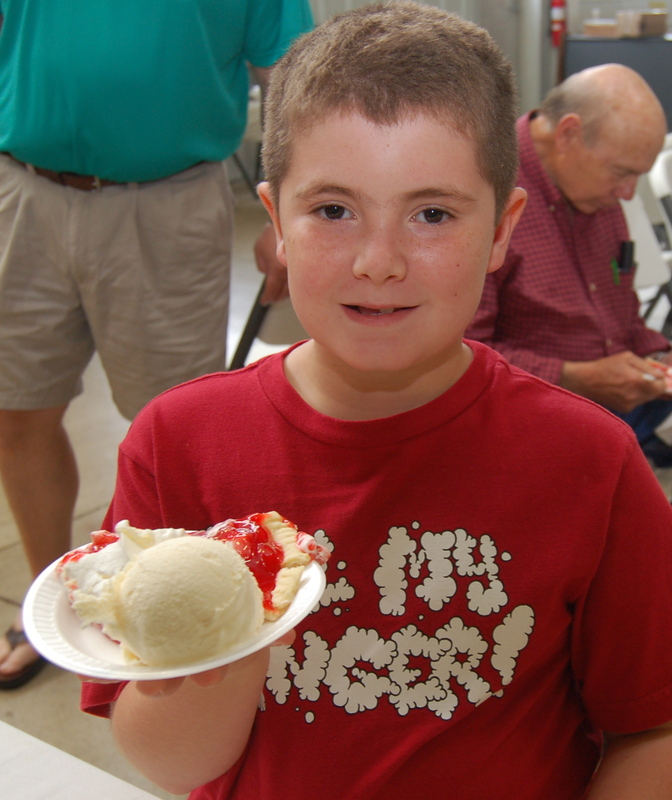 This youngster was pretty pleased with his free homemade strawberry pie and ice cream. On June 14, 15, and 16, two more reasons will emerge. 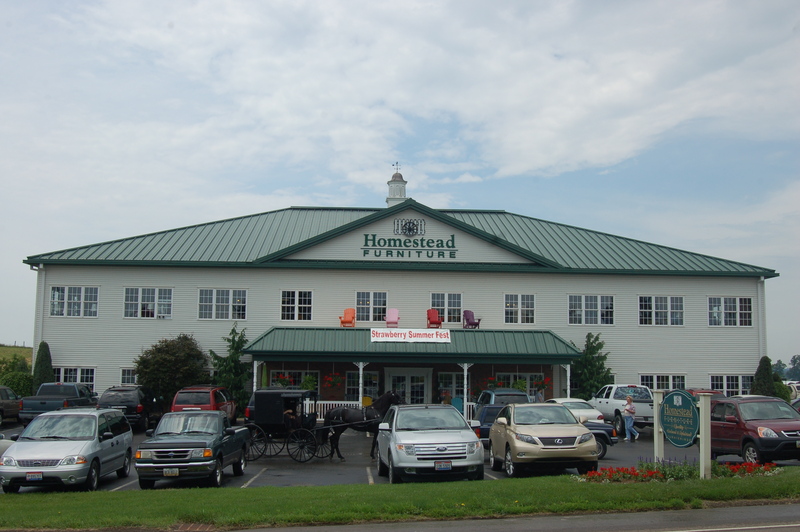 Visitors can enjoy free homemade strawberry pie and ice cream made on the spot at Homestead Furniture in Mt. Hope, Ohio. The expansive furniture store, which specializes in customizing hardwood and upholstered furniture, will hold its 12th annual Strawberry Summer Fest on those three days. On average, the store serves up 350 pies and 150 gallons of machine-cranked ice cream over the three-day gathering, which draws hundreds of people from several states. The Strawberry Summer Fest is held each year to help welcome in summer. According to Homestead Furniture’s sales manager Todd Reese, the store chose strawberry pie and ice cream as symbols of the season to share with customers old and new. The Cortona dining room table is just one example the exquisite furniture design and built by the craftsmen at Homestead Furniture. Besides the free food, Homestead Furniture will also hold a drawing for gift cards to the store. Prizes total $1,750. Of course, Homestead Furniture will offer special sales prices on all of its hardwood, upholstered, and leather furniture, excluding custom orders. Their only other sale is in October. In fact, the Mt. Hope merchant’s annual Sundown Sale will be held on Friday, June 15. Most businesses in town, from the hardware store to the fabric store, will be open until 8 p.m. The merchants also have a special drawing. Homestead Furniture, Mt. Hope, OH is a busy place during its annual Strawberry Summer Fest. 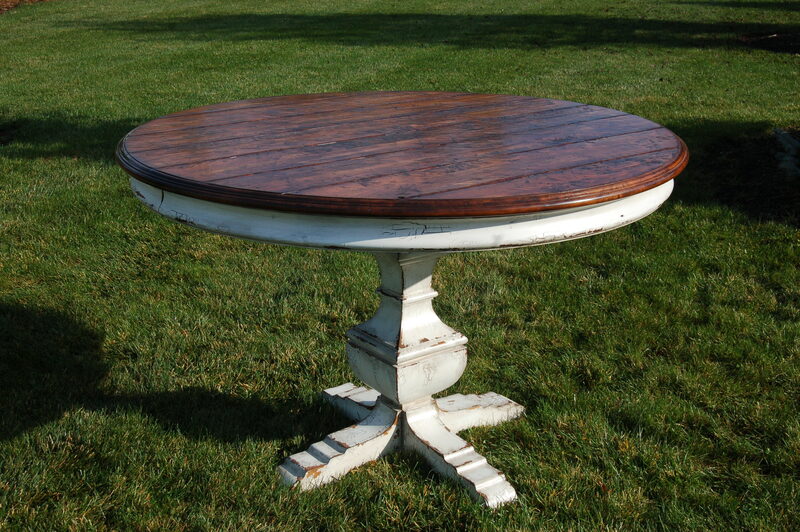 Homestead Furniture will be open from 8:30 a.m. to 8 p.m. on June 14 and 15, and 8:30 a.m. to 5 p.m. on June 16. The store is located at 8233 SR 241, just north of Mt. Hope. Mt. 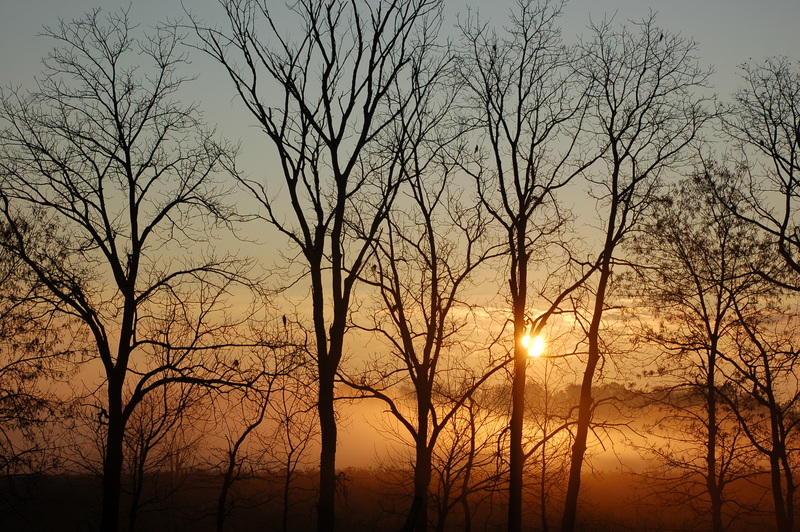 Hope is located 35 miles southwest of Canton, 50 miles south of Akron, and 75 miles south of Cleveland in the heart of Ohio’s Amish country. Employees at Homestead Furniture in Mt. 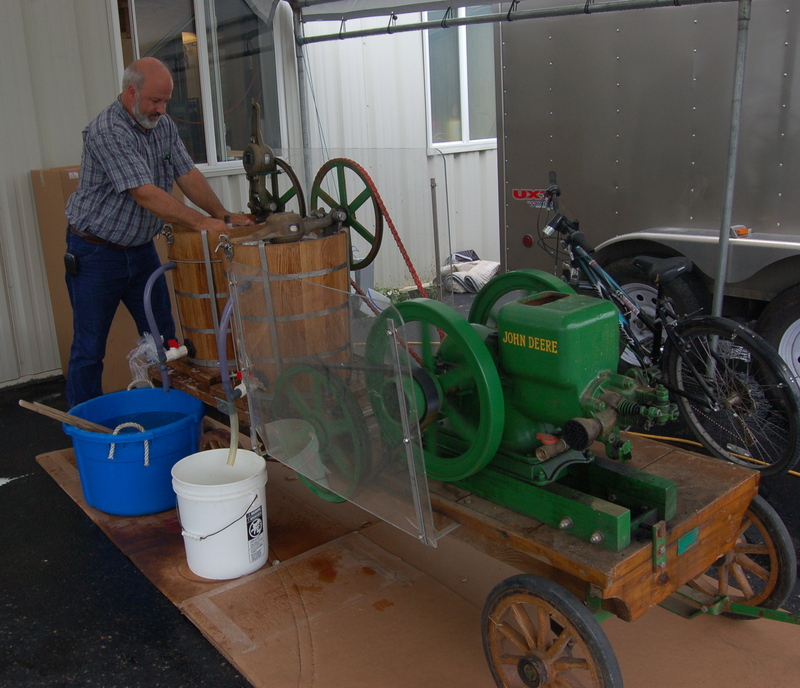 Hope, OH make homemade ice cream five gallons at a time over the three day event.